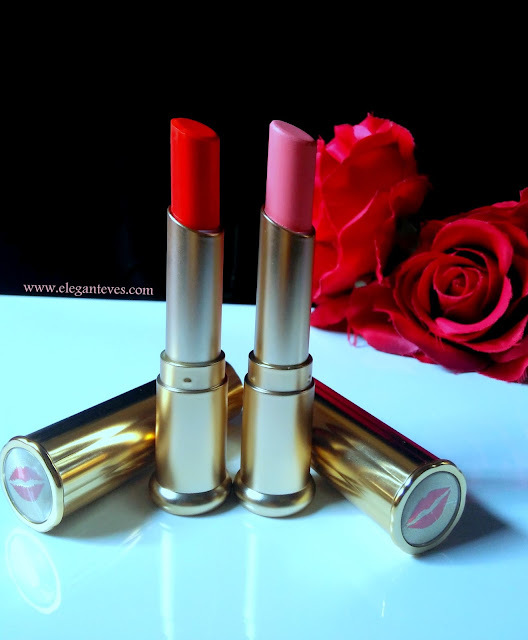 If you have been following me on Instagram, you must have noticed that I received a PR package of various lipsticks from Sivanna Colors a few days back. Sivanna Colors has been quite a popular brand because of its affordability and I am very fond of a lot of its products while some of them didn’t impress me as much (Read TopSivanna Products to pick or skip HERE). So, among the lipstick tubes, the first two which caught my attention due to its classy golden packaging were shades 01 and 09 from the 24h Long Lasting Moist Lipstick range. Read on to see if they are Yay or nay! 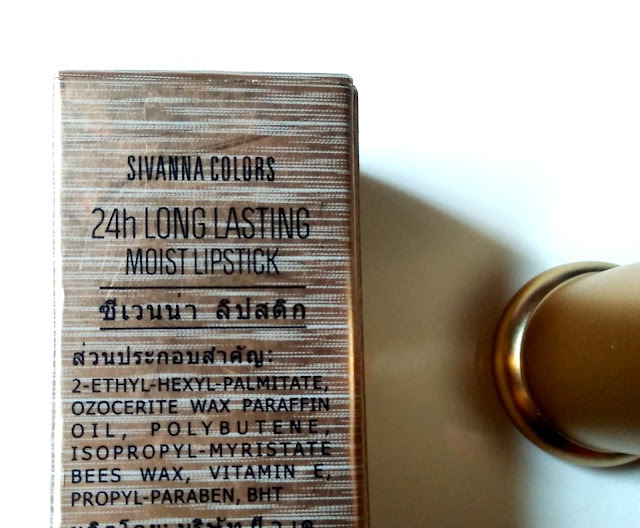 Although most of the lettering in the package is in Thai language, whatever is in English that reads “24h, long lasting, no transfer cup” which probably means a long lasting lipstick which doesn’t transfer to cups etc. 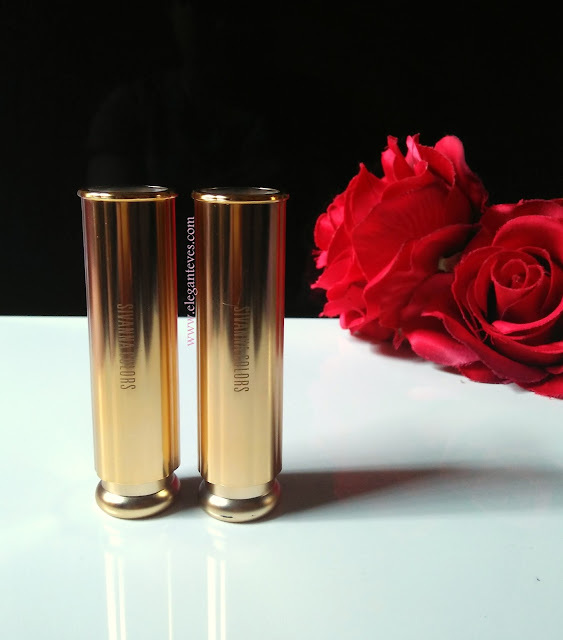 The very first thing which caught my attention was the cylindrical golden tube with a lip-imprint on the cap- The imprint comes in the color of the shade of lipstick. I really liked this concept. 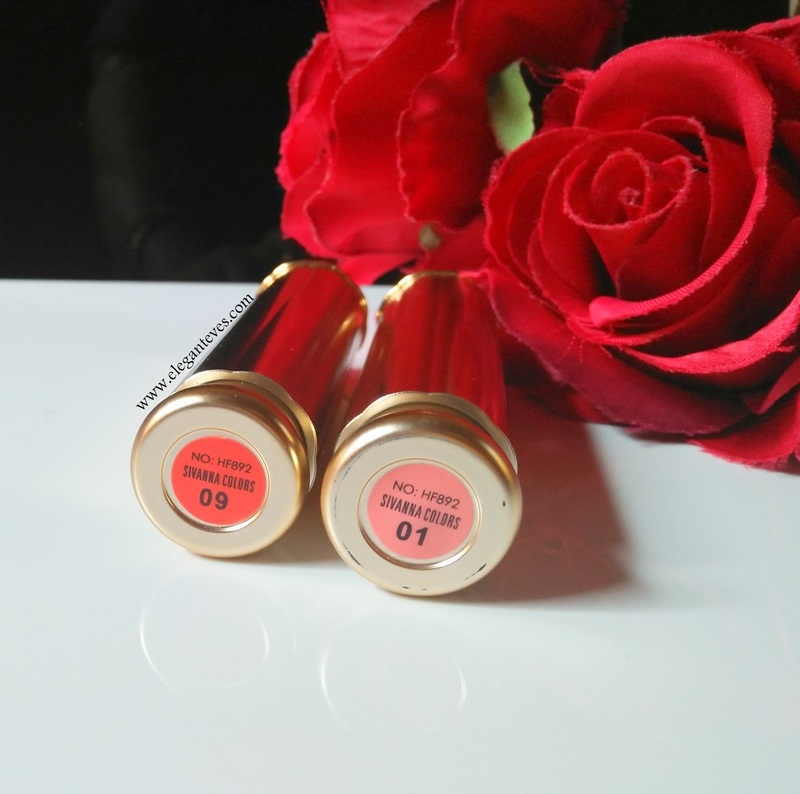 There are no shade names and each lipstick has a number. After I was over the immensely good packaging, I noticed the shades sent to me: One was a warm red (09) and the other was a milky pink (01). I could understand before swatching that the pink one was not meant for my skin tone or any Indian skin tone for that matter. 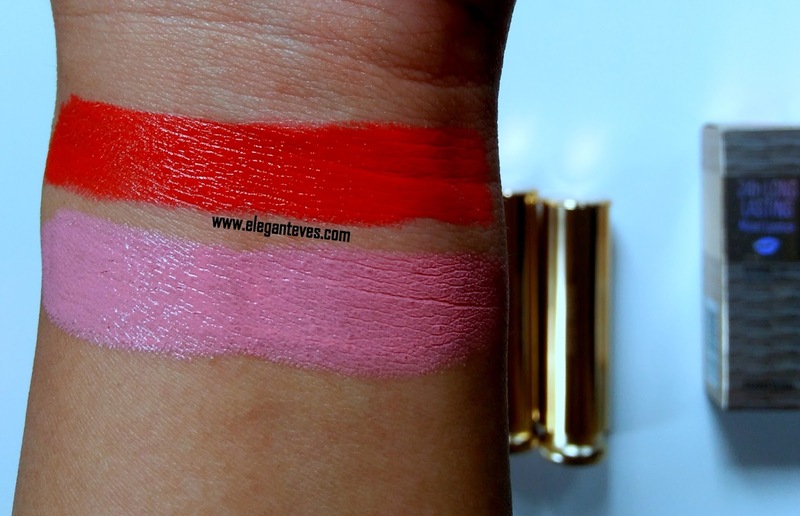 While the red is wearable by fair-medium skin tones and can look a bit stark on dusky tones, the pink one was disappointing. The shade resembles strawberry milkshake. It will not suit any Indian skin tone at all. The texture of these lipsticks is creamy and they are immensely pigmented. The finish is cream-glossy. I could not understand the “non-transfer” claim since every creamy lipstick is bound to transfer. So does this one. Also, the long lasting claim is partially true since a stain is left behind after few hours but not the whole lip color. 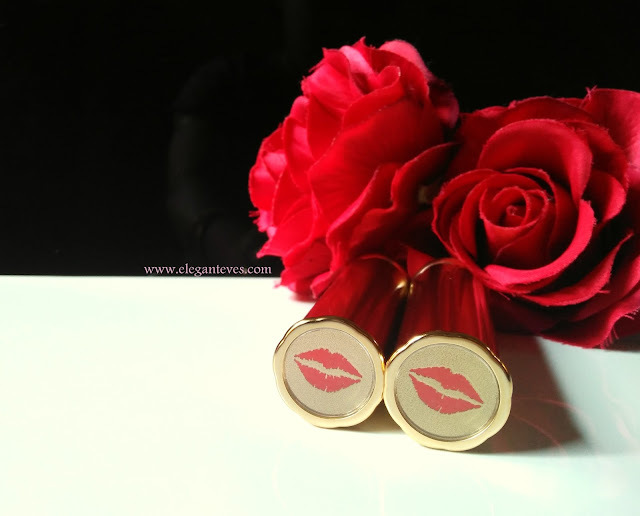 The feel of the lipstick, like all cream lipsticks, is very comfortable. 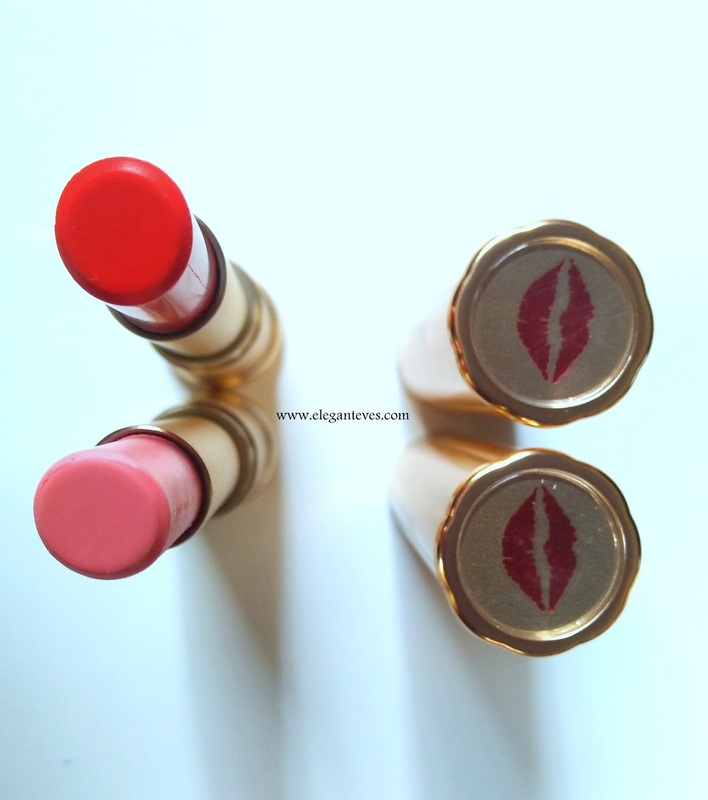 I would love to use this range of lipsticks in neutral everyday wear shades since this would be a perfect swipe-and-go lipstick. 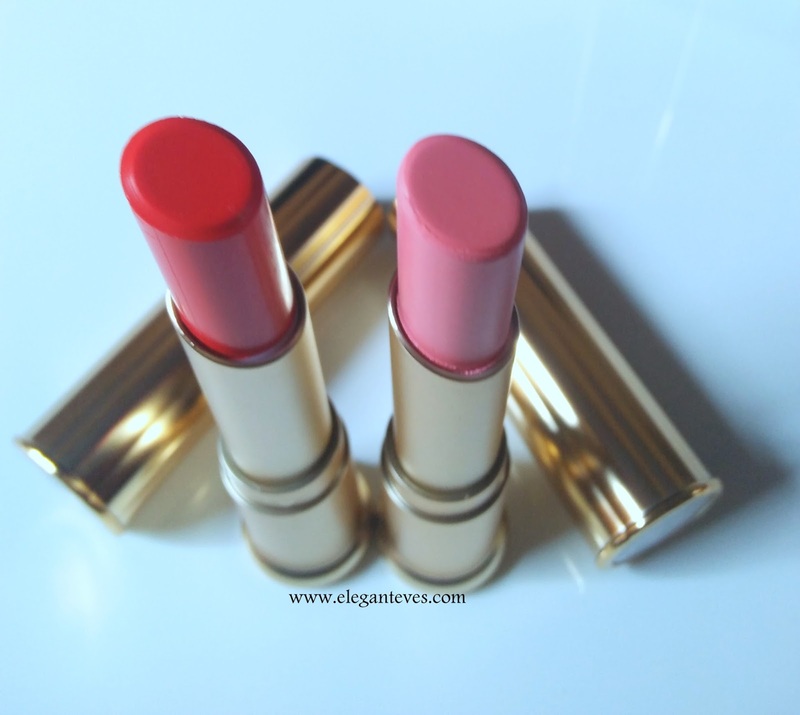 Overall, although I am a matte lipstick lover, I quite like the texture of these creamy lipsticks. But definitely I would want such a texture in daily wear shades and not bright shades or icy cool pinks. You may check with Charis.Enterprise for availability of other shades. The shades are popping and they look like they are super packed with pigment.